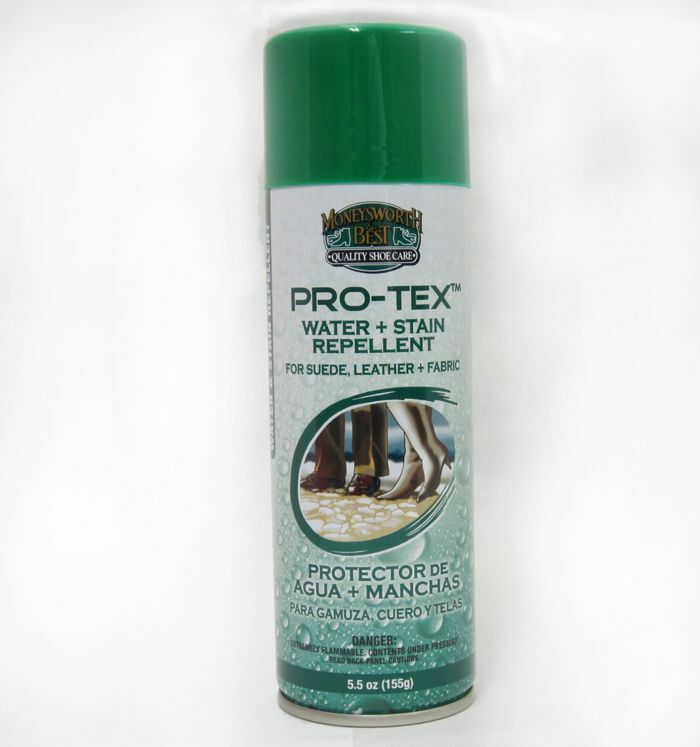 Water and stain repellents guard against rain, snow and salt damage. It protects leather, suede and nubuck and fabrics. As with all products test on leather or suede in an inconspicuous place to make sure you like the results. Not to be used on patent or vinyls. We used this on my suede boots very similar to Uggs and it did not darken the suede and we were happy with the results. I would have to say though that it might darken some light colored suedes so you should definitely test it first if you are concerned. If you are using this product on suede or nubuck you should also consider a suede brush for cleaning any dust or dirt off the item before spraying.